Here is my list of tiny mods that are still under construction but have passed stability testing. I was looking for intermediary armour options between the squishy vanilla Tanks and the venerable Hovertanks. Since alien alloys are lighter and stronger than terrestrial materials I thought it appropriate to take advantage of the lighter chassis and allow ALL weapon systems to be used upon it. I know this means that Hovertank/Launchers are pretty much useless since their weapon system removes the need for mobility. After research is completed on Personal Armor, manufacture of new Alloy Tanks clad in Alien Alloys becomes available. There are manufacturing options available to upgrade existing Tanks to Alloy Tanks. This mod is still under construction - I want to add new graphics in the future for the Alloy Tanks that will vanilla-friendly in their palette. This mod REQUIRES OXCE to function. - I want to remove the dependency I accidentally added here for OXCE. Allows a commander to, via manufacturing, retrofit fusion/blaster bomb warhead tech to terrestrial ammo types: Rockets, HWP Rockets, HE rounds, HE demo packs. Prices of these items have not gone through a balance pass yet and no new graphics exist... yet. Maintaining TACTICAL experience as close to vanilla is the highest priority for me as I make mods. Most of my mods affect R&D primarily and I try expand tactical options without upsetting the existing gameplay balance or equipment. That being said, I parsed through the HE armor levels of various terrain pieces to make sure that this new explosive type doesn't cause upsets. Blaster Launchers are STILL the only weapon that destroy exterior UFO walls. My cap on damage was to make sure that the "new" Fusion Explosive (retrofit of the High Explosive) could not do what a Blaster Bomb does in terms of terrain destruction. Once I set this ceiling (159 HE damage), I scaled the new stuff upon the Large Rocket as a reference. Combine this new AC Fusion Explosive Ammo with the MAD Autocannon mod above and you will find that things are not radically imbalanced at all actually. I leave the mod combinations, and the bugs that can result up to the commander. My best wishes to your new projects, comrade Baconia. Any question just ask, the OXC community is one of the best and helps a ñot. And welcome to OpenXcom modding! I wouldn't worry about allowing a fusion explosive charge to breach a UFO wall. I'm guessing it's heavier than a blaster bomb, right? Without fully understanding the alien tech, you could probably jury-rig a standing explosive more powerful than an impacting blaster bomb by taking two of them apart for components. 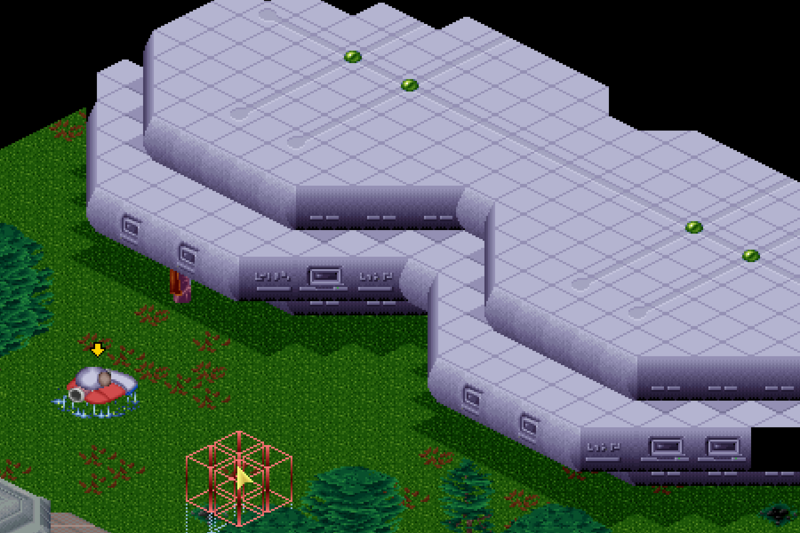 In my headcanon, the rapid scientific progress made by X-Com is because they're cutting as many corners as possible. In my upcoming mod, they take alien artifacts apart and put the pieces back together in different arrangements to "make" new items for X-Com personnel to use. Excellent! I was actually thinking about making a mod like this last week! ...But other little R&D mod ideas came to mind. It's easy to get distracted by the flexibility that OXC and the cousin OXCE offers in terms of modding such a great game, isn't it!? I was brainstorming the idea that to make their own equipment XCOM has to break down the alien tech and weapons thereby creating a new class of resource to consume in making their own war tech. Fusion "pellets" from alien blaster bombs? Plasma "cores" from alien plasma weaponry. There was one idea I had and that is to add the UFO's weaponry to the battlescape as a mission collectible and research topic, which would open up Plasma Cannons/etc. THANK YOU! I'm excited to be here! There was one idea I had and that is to add the UFO's weaponry to the battlescape as a mission collectible and research topic, which would open up Plasma Cannons/etc. I made a thing you might be interested in. It looks like little more than jelly beans and gummy worms, but I drew it myself and it goes on top of UFOs. In my mod I'm using it for recoverable UFO Components related to weapons or shields or such. Make a fresh WIP post on the topic or join the discord if you need any help putting this resource to work, or any other help on your mods. Hey I like the green jelly beans! I'll open another thread about this topic as soon as I get my full mod toolchain up. I've only been scripting lately, I did code up an image extractor YEARS ago with palette switching support...(but I'll leave that in the past) My next dabble is to complete the alloy tanks mod and just update the vanilla tank. It's taking some effort to round up the right set of tools to do this! I gotta remember editing the original xcom sprites just to try to match the right/actual UFO94 (or TFTD95) palette colors to OpenXCOM last January 2018 along last year with paint.net along Photoshop, and other image editing programs i've downloaded used for OpenXCOM sprite editing. Sometimes, although sprite editing or trying to make sprites or sprite edits with Photoshop, or paint.net or others get's difficult just to try to match the UFO94(/TFTD95) palette colors probably see if it's the right colors.